The most modern and highly concentrated formula after training, the operation of which is visible in a very short time. You will not find a better product in this category! 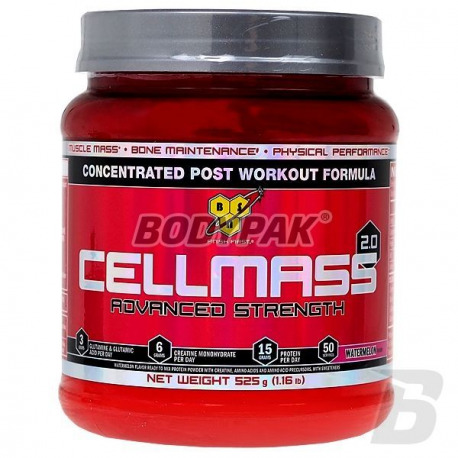 BSN Cell Mass 2.0 is the most concentrated formula of post-training regeneration. After an intense workout, your muscles are in a state of high stress and require appropriate support for rapid regeneration, paving the way for increased power and performance sports. 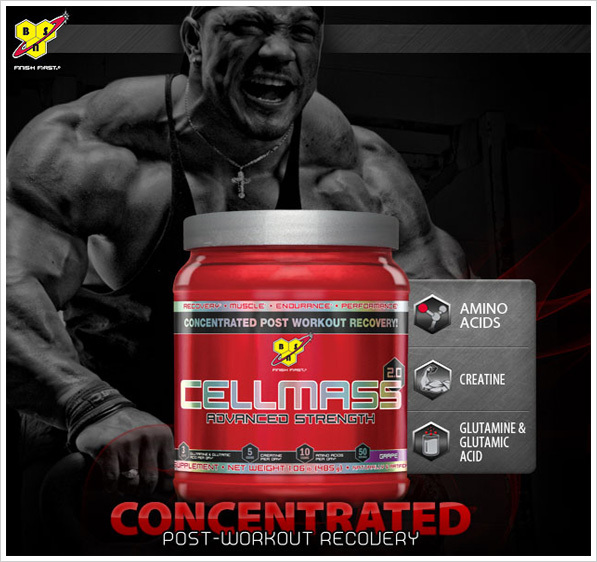 To facilitate this, Cell Mass 2.0 is completely redesigned formula provides three forms of creatine, including well-known Con-Crete strongest form of creatine and glutamine, taurine and hydrolyzed whey protein to enhance tired muscles and begin the process of recovery after exercise. 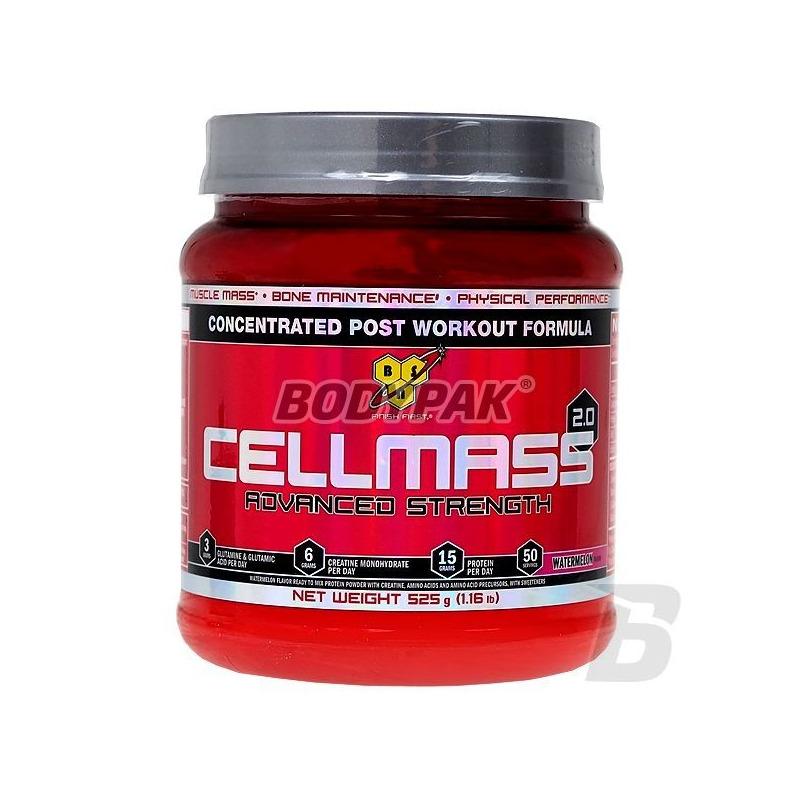 Cell Mass 2.0 supports more efficient regeneration, helps fight muscle fatigue, increases muscle strength, endurance and overall performance. Proper recovery from intense training session, can better prepare for the next workout. For all those who want to keep their training were not in vain, and their hard-earned muscles they were not threatened. Ingredients: amino acids, and a blend of precursors (taurine, L-glutamine, glutamine peptides [gluten], creatine monohydrate, partially hydrolyzed whey protein isolate [milk, soy], acidity regulator (citric acid, malic acid) , flavors, sweeteners (acesulfame K, sucralose), color (red beet). Jedna z lepszych propozycji przed treningiem - aktualnie dostępna jest nowa formuł, ale to właśnie 2.0 jest tym czego potrzebowałem.